A sophisticated, clever way to present a bottle to your brain teaser-loving host. You've never met a cork you couldn't handle. But this fun puzzle is a true bottle stopper. Until, of course, you solve it. 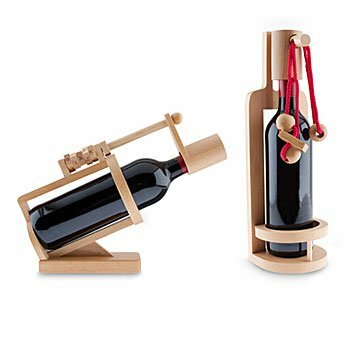 Crafted from beechwood, it's a sophisticated, clever way to present a bottle of wine, whether it's to your game night guests or to a brain teaser-loving host. Victory will never be so rewarding. Choose from "easy" or "difficult" designs. Made in China. This was a fun product. It's great for the wine drinker who loves a puzzles.